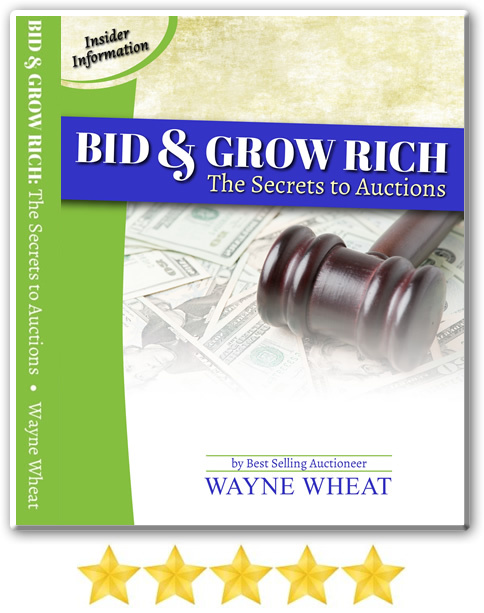 The Secrets to Auctions by Best Selling Auctioneer, Wayne Wheat. Why would you buy a book about the secrets to auctions? The short answer is that you really can learn to BID AND GROW RICH by using the techniques and insider information that I share in this book. 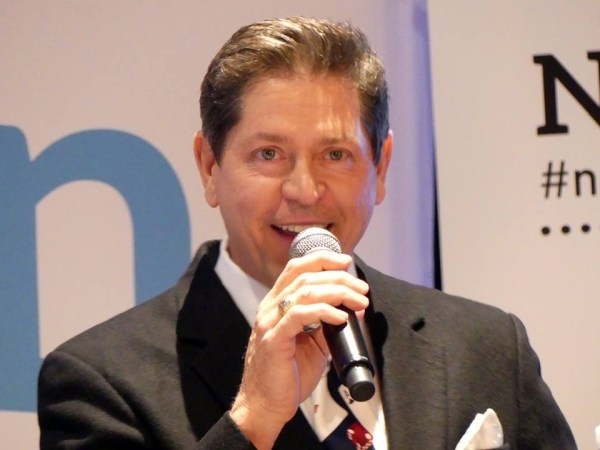 The information that I reveal is a summation of specific techniques that I have personally observed and employed both as an auctioneer and as a bidder for the past 25 years while conducting over 10,000 auctions in 9 different countries. What the auctioneers “secret” CHANT means and what he or she is communicating to not only the bidders but to the auction staff. 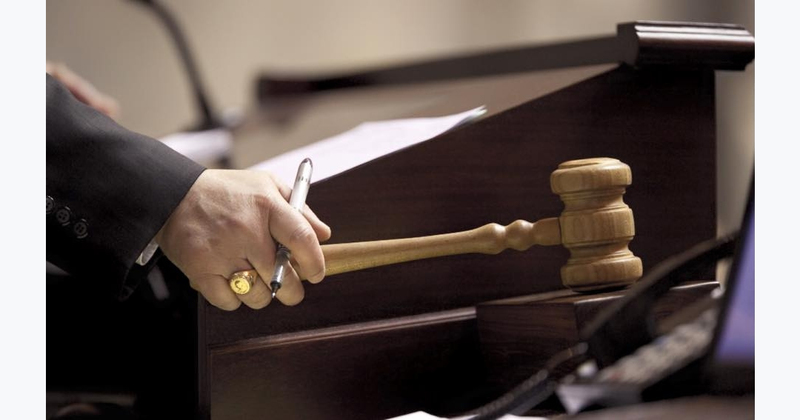 You will no longer be confused by auctioneers who are not clear and you will learn to take a more active roll in affecting the bidding process. About the different types of auctions specifically how auctions with reserve work and how they differ from auctions with no minimum bid (also called absolute auctions). And, the advantage of each of these types of auctions. How to find the best auctions that have the biggest opportunities for you, the bidder, and how to properly research the value of an item so that you have the proper knowledge on how much to bid and when to stop bidding. What the bidder assistant (also called a ring-man) responsibilities are and what they do to assist both buyers and seller. Specific bidding techniques that you can use effectively to influence the bidding process and affect the price that you pay at auction. How to be a savvy and tough bidder while at the same time maintaining a professional, friendly relationship with the auctioneer and his staff, which can affect the prices that you pay at auction. International Champion Auctioneer and All-Around World Champion. This book will educate you to the advantages of becoming an auction buyer. All of the big purchases that you make in your lifetime can be through the auction method; homes, rental properties, boats, furnishings, jewelry and pretty much everything that is sold in a retail environment can be yours at a fraction of the cost. 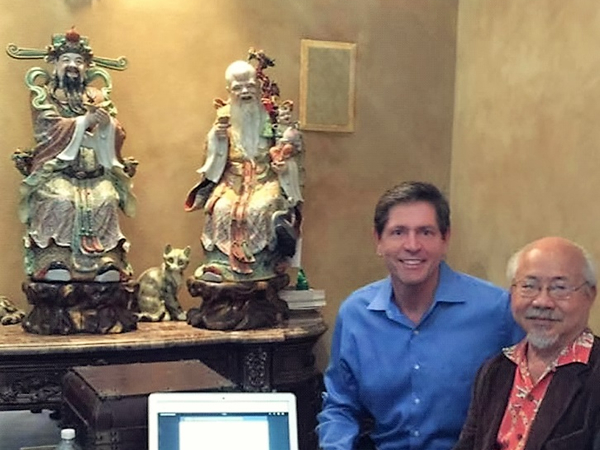 If you read this book and apply its principles you really can BID AND GROW RICH!